The main purpose of the project is a historical and international rebranding of the Ukrainian dimension in the Second World War through the fate of people who through their actions contributed to the fight against totalitarianism, defended democratic ideals and citizens' convictions; embodying the ideals of peace, humanism and tolerance. The task - to form a broad narrative base, completing the museum's collection, preparation publications, promotion of research. Expected results - international recognition of the high degree of courage and sacrifice of Ukrainians during the Second World War. Topic: Ukrainians – Saviors and Righteous Among the Nations Dedicated to Ukrainians who were saving the Jews during the Second World War. During the Nazi period, more than 6 million Jews were exterminated. Over 1,4 million of them were killed on territory of Ukraine. However, along with the greatest evil, there were manifestations of the highest goodness and moral strength. There are more then 26,5 thousand of Righteous Among the Nations. Over 2,5 thousand of them are Ukrainians. The task of the session is to make known as many stories of salvation and names of saviors as possible, to keep an example of their humanity in the historical memory of different nationalities. Step 1. Registration, familiarization with the topic of the session, the choice of the person to research. Step 2. Work with curators. Research includes biographical narrative, presentation of artifacts, videos of memoirs. Step 3. Presentation of research at the National Museum of the History of Ukraine in the Second World War (Kyiv). 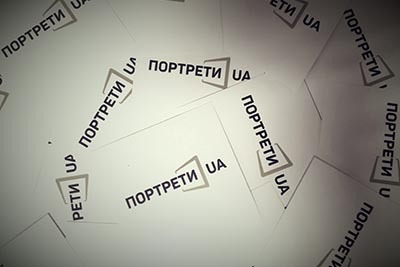 Preparation of a thematic exhibition project, formation of a collection, meetings with leading Ukrainian historians, writers, journalists and public figures. All interested in national history of Ukraine are invited. New proposals for cooperation come to the Museum. Volyn Museum (Lutsk) and its department - Museum of Local History of Manevichi (Volyn region) have expressed a desire to become partners of the PortraitsUA project. The site already has the history of rescuers from Volyn V. Fomenko and I. Hnatyuk, but this is only the beginning of cooperation. Soon, together with partners, specialists of the National Museum of History of Ukraine in the Second World War will present PortraitsUA at the 5th Museum Festival "Museum and Challenges of Time", which will take place on September 18-24, 2018 in the city of Dnipro. After the presentation of the PortraitsUA project at the Museum Workshop "Patriotic and Educational Mission of the Modern Museum", our partners - scientists of the Ukrainian Institute for Holocaust Studies "Tkuma" - joined the project. 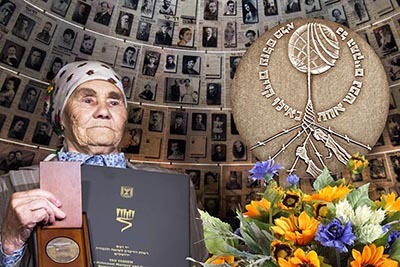 Igor Shchupak, Director of the Institute and Museum "Jewish Memory and Holocaust in Ukraine", said that according to the data of the National Holocaust Memorial, Yad Vashem (Israel) in the Dnieper lived 24 people who were named "Righteous Among the Nations". Together they saved 78 Jews. The youngest of the survivors was 1 year old. The names of these people and their stories must be known not only to the inhabitants of the city of Dnipro, but also to all Ukrainians and citizens of other countries. Therefore, the PortraitsUA project is very necessary and important. The first stories about rescuers from the Dnipro (M.U. Karpik, V.Y. Zubkov) are already on the site. 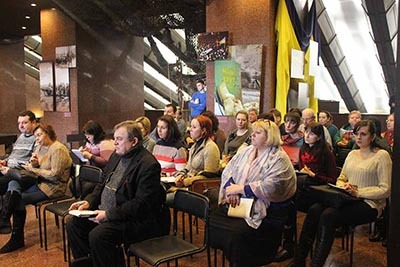 The Museum supported by the Ministry of Culture of Ukraine hosted a two-day workshop "Patriotic and Educational Mission of the Modern Museum". More than a hundred participants of the event from all regions of Ukraine arrived in the capital. Among the guests were: heads of museumsof Ukraine, academic institutions and institutions, central and local executive authorities, scientists and museum specialists. They talked about the role of museums in preserving historical memory and educating the modern generation of patriot citizens. Deputy Director General of the Museum Lyudmila Rybchenko presented the Portraits UA project and called on all those present to participate in its implementation. Each participant of the seminar received the information brochure of the project. We look forward to working together! The museum hosted a presentation of the PortraitsUA project for teachers of the history of educational institutions of the capital. The curators handed the teachers all the necessary materials and encouraged them to join the project with the pupils. The dissemination of information about our project among educators has already given the first positive results – new participants and new stories. The PortraitUA project is gaining momentum. It is becoming more and more interesting to a wide circle of people, new partners are appealing to us. In magazine "Family Affairs" was published the story of the Righteous Among the Nations, prepared by the project participants. This is the story of the "Unauthorized mother" about the Righteousness Among the Nations, Alexandra Shuļezhko. The history is illustrated with unique photographs from the museum's funds. This story is in the paper version of the magazine and on the site. Thanks for the collaboration! Soon on the pages of the publication there will be new portraits of the Righteous. Join the project and become the authors of new stories. The project started! We have recorded the first interview and posted on the site first story - the fate of Oksana Antypchuk. She described in detail how she and her parents saved a Jewish woman with a young son, well aware of the mortal danger that threatened them. Communication with a witness and participant of events, a simple old woman, embodying courage and inexhaustible humanity left agreat impression. Working on the project allows you to touch the pages of Ukrainian tragic history, which is still unread. We invite you to join us! A presentation of the new museum project PortraitsUA took place. The acquaintance happened during the seminar "Realization of the national idea of becoming a citizen-patriot of Ukraine through the value potential of Olympism", which was held on the basis of the museum. The participants of the scientific meeting - teachers and students from different regions of Ukraine, representatives of the Olympic Academy of Ukraine - learned from one of the curators of the project about the content and objectives of the project. He also spoke about the people dedicated to the first session of the project - "Ukrainians - Righteous Among the Nations". On the site appeared the first story of the project "PortraitUA", dedicated to the Righteous Among the Nations Oleksandra Shulezhko. 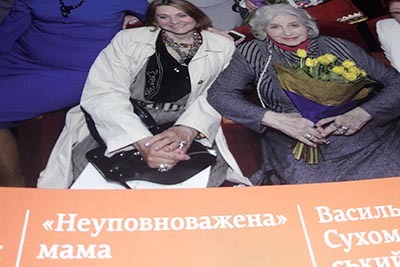 This woman and the humanitarian feat she made during the Nazi occupation has for several years been an integral part of the museum's narrative on the Holocaust at the National museum of the history of Ukraine in the Second World War. 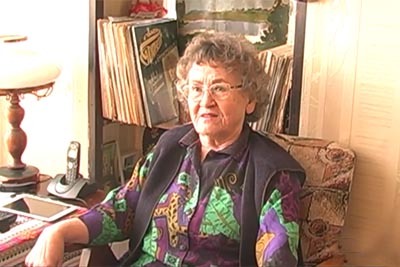 In many respects, the fate of Oleksandra Shulezhko has led us to create a PortraitsUA project. Its first session devoted to the Righteous Among the Nations. Read this incredible story in the "Bank of Portraits" section. 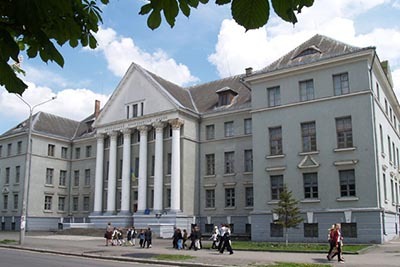 © 2019 National Museum of the History of Ukraine in the Second World War. Memorial complex.